Anthem’s “Pathway PPO” Individual plan has physically injured me. I have been a big proponent of the Affordable Care Act (ACA). The pre-existing conditions clause allowed me to take time off from my career and work towards re-training and building a startup. I’m writing documenting my experience not because of an issues with ACA, but because of a failure of a for-profit health insurance company interfering with my care. There were so many options it was overwhelming. Additionally, incomplete information on each CoveredCA plan that made it seem like a coin flip desision. I unfortunately settled on Anthem Platinum 90 D PPO. I purchased this directly from Anthem because it was easier to bundle dental and vision coverage this way than via the CoveredCA site. There is still debate today on if this is a “Covered California” plan. Anthem says I do not have a CoveredCA but rather an individual plan – but my providers say I have a “CoveredCA” plan. It is also unclear if this makes a difference. In December 2015, when I checked the doctors in-network on Anthem’s own website, it appeared to cover the doctors I needed to see. It wasn’t until after I got my insurance cards in January that in the lower right hand corner of the card was the “Pathway PPO” designation. This sort of sub-title to Platinum 90 D PPO was not detailed on CoveredCA nor Anthem’s website. For open enrollement for 2017, “Pathway PPO” is still not listed on CoveredCA website. 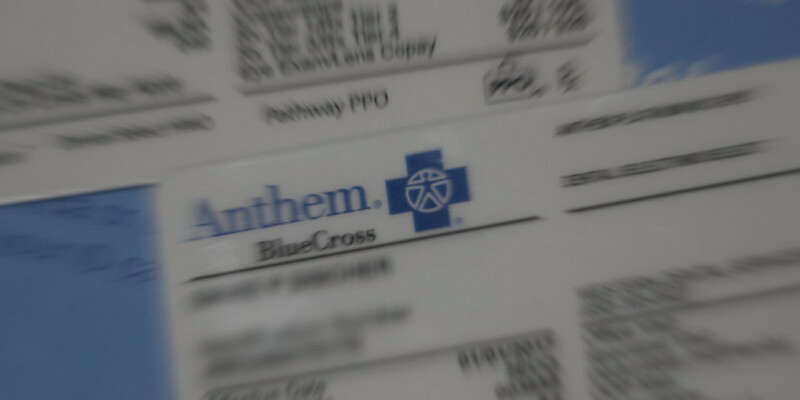 However, Anthem has since updated their drop downs when looking for a provider with the “Pathway X” designation, and that this is the exchange’s plan – but still quite confusing. It is still not clear while purchasing that the plan is a “Pathway X”. For my January 25, 2016 intravenous treatment with REMICADE, the doctor’s office ran the insurance prior to the visit and it came back approved and IN-NETWORK. I was marginally excited at how well this worked. However, a few weeks later after the treatment, the EOB came back as OUT OF NETWORK. On February 15th I identified this and started to investigate this issue. It turns out Anthem has inconsistent information in their own databases between departments, causing false approvals. I also ran into this when with the emergency out-of-network approvals department. They couldn’t give me an out-of-network approval – because the Rheumatologist office was listed as IN-NETWORK – but the doctor was not. They had to conference in another department to straighten things out. Fast forward three months – I did finally get Anthem to pay this claim as IN-NETWORK. As part of this investigation, my doctor’s office told me that if they could accept the plan “Pathway PPO”, it was only covering 70% of what Medicare allows for most billing codes. As a result, their reimbursement for the actual drug, REMICADE, is less than their cost. My next scheduled treatment was suppose to be March 14th. I was never able to get my March 14th treatment. The next time I got my infusion was May 9, 2016 – 15 weeks after my last treatment, about 7 weeks overdue. Anthem’s online database of Rheumatologists within 20 miles of my home listed three. One doctor’s phone was disconnected, and the other two no longer accepted the plan. After a significant amount of time, effort and escalation and following the rules, they found me a doctor almost 30 miles from my house. I’ve engaged a case manager within Anthem and got someone from the executive office to help (via a Tweet to their Twitter Account). This contact in the exec office did help bypass one of the appeal processes and approved the Jan 25th treatment. The case manager helped locating this new doctor. Anthem was also supposed to be working on a Letter of Agreement (LOA) with Rheumatologist office for bridge care, as Rheumatologists often have long wait lists. However, because I proceeded to apply for the LOA and locating a new doctor at the same time, Anthem was no longer willing to do an LOA – despite at that time being over 6 weeks late for my treatment. My severe joint pain had returned. An ironic little side note here, if Anthem would have negotiated an LOA with my long time Rheumatologist, they would have SAVED $2,000-3,000 per treatment instead of the County hospital they sent me too. Anthem’s Pathway PPO network is so restrictive and small, it is nearly impossible to get medical care in a timely manner. This new rheumatologist had a waiting list and the first appointment was June 14th. This is not unusual for a rheumatologist or any other specialist. With my treatment cycle of 7 weeks it is nearly impossible to change doctors/providers if insurance policies don’t offer transitional coverage. I did manage to get an overbooking appointment for May 4th which is 6 ½ weeks late for my doctor prescribed, medically necessary treatment. I end up getting my infusion on May 9, 2016. This was 15 weeks late. I had swelling joints and a lot pain returning. Anthem prevented me from getting the care I require and as a result, caused my joint pain to return. Anthem through their actions or inactions – physically cause me harm. In the middle of all this, I came down with a severe throat infection. REMICADE cannot be administered to someone with an active infection. Anthem also has significant barriers just getting to an Internal Medicine Doctor for antibiotics. Urgent care was required, as well as a second round of antibiotics. Despite having two major medical centers within in 3 miles of my home, the nearest doctors were 20 miles from my home and in different counties or across toll bridges. Urgent care refused to see me a second time when my throat infection did not completely disappear and required a second round of antibiotics. There is only a single care center within 30 miles that provides IN-NETWORK urgent care. I wrote most of this during this time of great pain. However, significant edited and updated between November 2016 and Februray 2017, my REMICADE is back on track and my joint is back under control. My throat infection, resulted in needing my tonsils removed in June. Again, find a specialist – ENT – ear, nose, and throat doctor – the closest being over 20+ miles away and had long wait times. Despite all the hassle, on balance for 2016, sans physically harming me, Anthem did eventually pay all the part of the bill I believe they were obligated to do so. I believe both CoveredCA and Anthem have engaged in false advertising. Both CoveredCA and Anthem’s websites failed to disclose the “Pathway PPO” sub-plan name in the marketing and sales materials. Worse, I believe, that Anthem has engaged in fraud at establishing a care network for this plan. They have a severe incompetence at knowing what doctors are active in what networks. After purchasing the plan in December, which seemed to have plenty of doctors in my area, it appears that Anthem cut the doctors in the network. Talking to various doctors and administrators, I found out that CoveredCA networks for the insurance companies – not just limited to Anthem – were by invite only. One provider said they were dropped suddenly from the network with Anthem effective January 1st, without notice. I have a suspicion that the insurance companies intentionally created sub-par, second rate medical networks and marketed them as high-quality PPO plans on the exchange. Anthem, with this plan, has not been able to provide me the medically necessary care in my area in times of need. Anthem cannot live up to their obligations under this health care plan and contract. I requested that I be granted a special enrollment exception to change to a different individual plan that will cover my medical needs. I filed a Consumer Complaint using the Independent Medical Review Application/Complaint Form via The Department of Managed Health Care requesting this special enrollment window. This request had an earlier revision of this letter. This request was rejected/denied. And by that time, I was getting the treatments I needed. I also consulted a lawyer – after my treatment was back on track, I really had no case since Anthem finally did get and cover my treatments. Psoriatic arthritis is a crippling condition and if the inflammation is not treated on schedule, I could suffer permanent joint damage. With some of this inflammation in my back and neck, it is possibly that I’d be confined to a wheelchair if it goes untreated too long. I’d like to call for an investigation into the health insurance companies practices with individual health plans, including but not limited to CoveredCA plans. It seems to be immoral and maybe illegal to create provider networks specifically for Individual plans that appear to have the same coverage of the large employers, but in reality have less coverage and inferior health care than employer provided insurance. I’d like to help propose, sponsor and/or write legislation that would ensure health plans especially for individuals, to stop sub-par or fraudulent provider networks. Providers should be able to easily and rapidly join any insurance network, provided they agree to the terms and conditions of the policies. The insurance companies should never be able to prevent a provider from joining a network, if they agree to the terms. Networks for providers should never be invite only. Competition will provide a better and more economical health plans for consumers. All information and contracts need to be on file with the state and accessible to the consumer, in a digestible and comparable format. As of now, all information and contracts for plans and networks are closed. It’s not possible to be an informed shopper. It is impossible to call and ask an insurance company if procedure or drug X will be covered by provider Y. A minimum negotiated rate should be set. Plans should not be allowed to offer reimbursement and/or negotiated rates that are less than Medicaid/Medicare/MediCal. Of course providers should be able to reimburse/negotiate for more than this minimum level. This is sort of how it works now, but it’s not regulated. The relationship of the policy/plan and network need to be reversed. Networks should not be specifically created for policies … policies should be created for specific networks or groups of networks. The number of networks per insurer should be limited. For human consumption and understanding this would probably be in the low double digits – 20 to 30. The name of the policy and sub plans need to be clear and descriptive. All information about the plan and the network should be fully defined and available before the purchase, not after. Leaving a network should not be allowed once open enrollment for that coverage years starts. Additions to networks should be possible at anytime. Ultimately, the United States, or if allowed California should move to a single payer system. However, any implementation of this, for various reasons should be in the scope of 30-40(*) years to phase in. Before that a public option – like anyone being able to buy a MediCal policy – as well as possibly MediCal offerings being expanded. However, the very first step should be moving everyone – even employer provided insurance – to the exchange/Covered California. Adjustments in various laws would be needed, but instead of your employer paying for a plan, they’d contribute that (pre-tax/non-taxed) money to a fund like Health Savings Account, that could be use to purchase the insurance policies on the exchange. This would make Covered California the health insurance clearing house. This would make the pool of insured much larger, and therefore less risky for insurance companies to be on the exchange. Also, a change employment, would not require an employee to change plans or insurers. Also, families with dual incomes could pool that money from both employers to purchase family coverage. (*) Yes, this is the correct time line.